Fisher-Price Scan Word Dash Just $14.71! Down From $30! You are here: Home / Great Deals / Amazon Deals / Fisher-Price Scan Word Dash Just $14.71! Down From $30! At Amazon, you can score this Fisher-Price Scan Word Dash for just $14.71 down from $29.99 PLUS FREE shipping with Amazon Prime or for orders $25 or more! The Fisher-Price Smart Scan Word Dash, with its Smart Scanner, 9 Smart Discs, 3 play modes and storage case, makes learning fun and interactive for preschoolers. 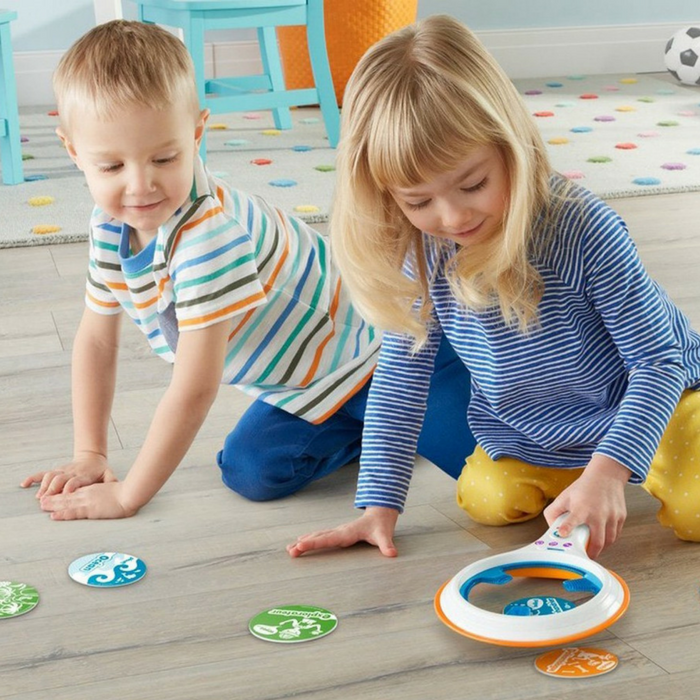 The Smart Discs feature top kindergarten themes (jungle, ocean and desert) and provide information, audio cues, questions, answers and encouragement when your child scans them with the Smart Scanner. The discs also prompt kids to find objects, make up stories and poems, play games and more – inspiring little learners to be big thinkers while they play the day away!